Let's See Your Canadian Giveaway Comics from the 1960s/70s! Just as a caveat, the Canadian Silver Age is not quite the same as it is in the USA. This has to do with the particular history of the Canadian Golden Age (WECA and FECA) and the implementation of the Fulton Bill in the early 1950s that essentially destroyed the Canadian comic industry until the mid-1970s. Comic historian John Bell positions the Canadian Silver Age as beginning with the first issue of Captain Canuck in 1975 and ending around 1988 with the collapse of the Alternative comic industry in the country. 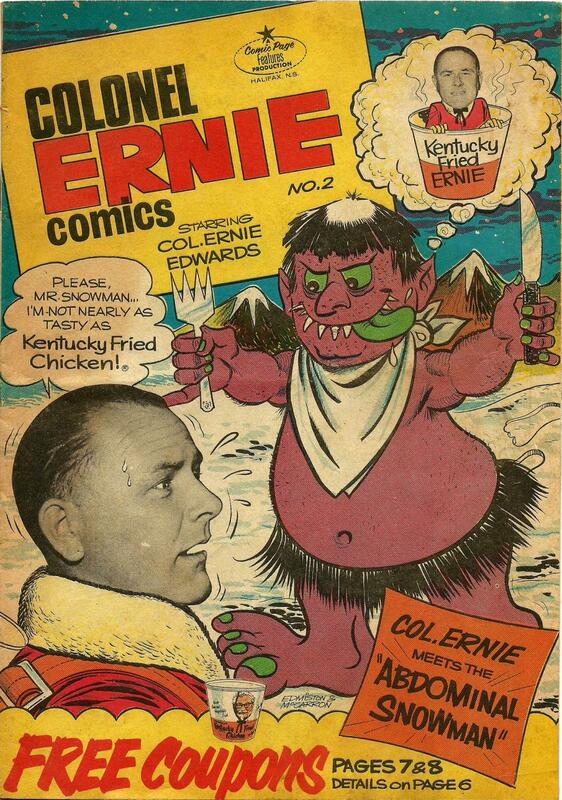 During the 1960s and early 1970s, Canadian comics were almost exclusively business and government giveaways. The exception was the fledgling underground comics that proliferated in Vancouver, Saskatoon, Toronto and Montreal. Many of these giveaways have been lost to time, but I have been trying to source examples and am here to share what I have found (with the hope of seeing some new stuff too). There were two main giveaway companies: Ganes Productions and Owen McCarron's Comic Book World. A few reprints of American giveaways also appeared in Canada too. So, here we go. Let's start with some Ganes books. First up, "Save Lives," a mini from 1962 explaining CPR. I happen to own a copy of this one. I don't own this one and am not sure what the interior is like. 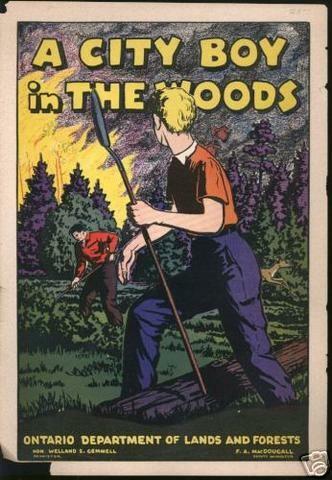 Here is "A City Boy in the Woods," from the Ontario Department of Lands and Forests. 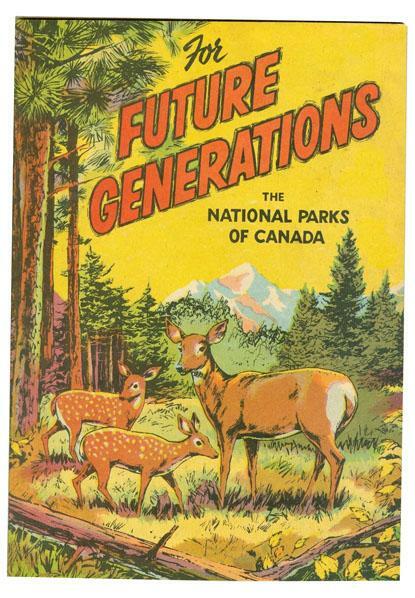 Another one I don't own: "For Future Generations, The National Parks of Canada" from 1965. Yet another one I don't own (I don't have many of the Ganes comics). From 1963, "Our Forest Lands." 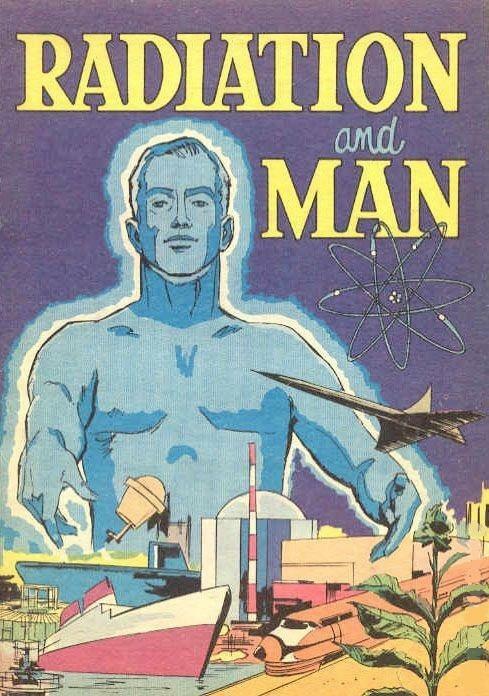 From 1966, "Radiation and Man." This one was also published in French as "Le Rayonnement et l'homme." I wish I owned this one. 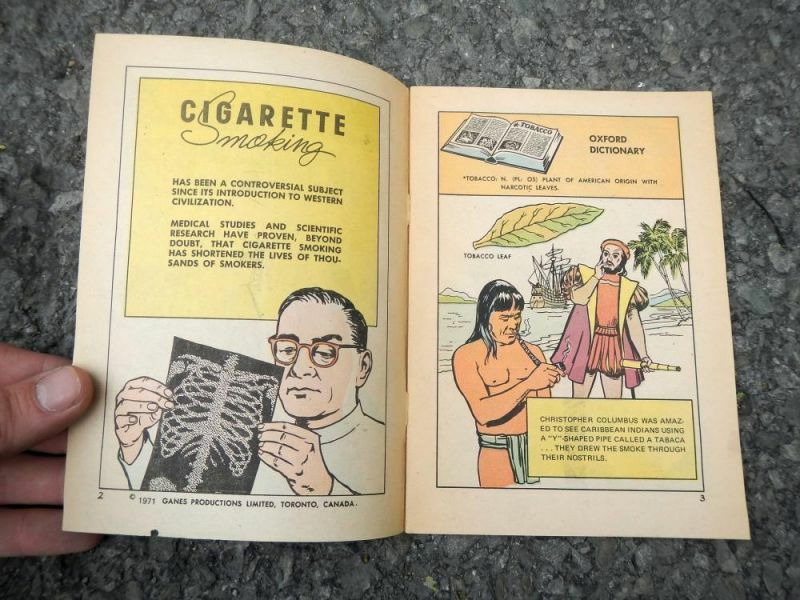 Here's one that was posted in a sales thread on the boards last year from 1971 by "G Educators," which is definitely Ganes: "Smoking and Cancer." Who's the lucky boardie who ended up with this one? There are several other Ganes comics that I have never seen and at least one that I own that I will make scans of soon. One of the things I love about this era of Canadian giveaways is that some groups opted to import foreign giveaways to Canada instead of hiring Ganes or McCarron. Here's an example called "Where There's Smoke..." from 1963 by Malcolm Ater. A French version also exists. 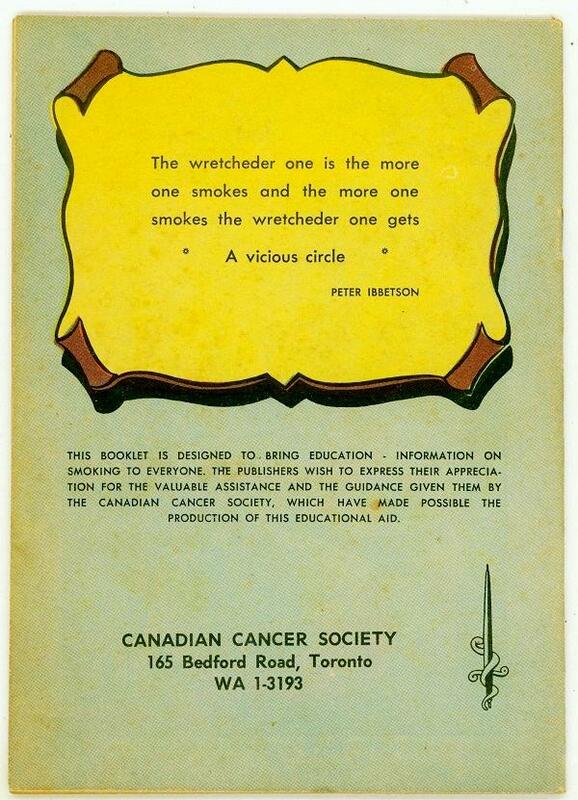 Notice that the only difference is the back cover and the Canadian vs. American Cancer Society emblem. Between Ganes and McCarron, I must admit that McCarron is my favourite. He was based in Halifax, Nova Scotia, which I have called home for seven years. His first comics were published under the imprint "Comic Page Features" in the mid-1960s. He would change his company's name to "Comic Book World" circa 1969. He was close friends with Stan Lee and would later go on to do the Marvel Fun and Games comics. At the time, he had a great amount of autonomy with Marvel and worked from home in Nova Scotia (when Lee had a tight leash on most of his other artists). Later on, he got into making colouring books for properties such as Shogun Warriors. 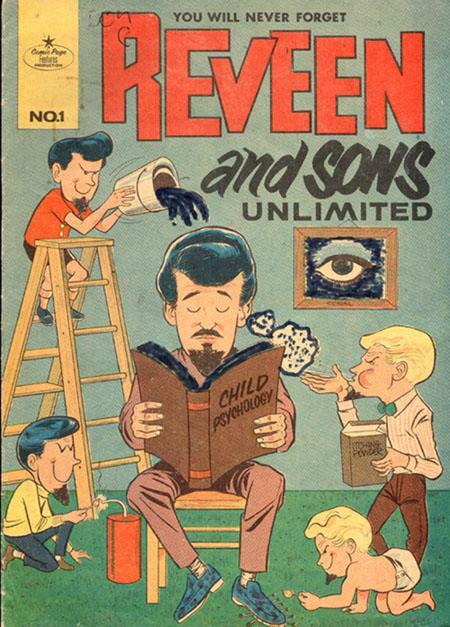 One of his first books was "Reveen and Sons Unlimited" from 1965. I have been trying to source one for some time, but have yet to find one for sale at a reasonable price. Reveen was a popular mentalist/stage magician from Australia who toured Atlantic Canada continuously and later made the region his home base. After he died a few years ago, one of his sons took on the mantle and now tours as Reveen, while living in the province of New Brunswick. 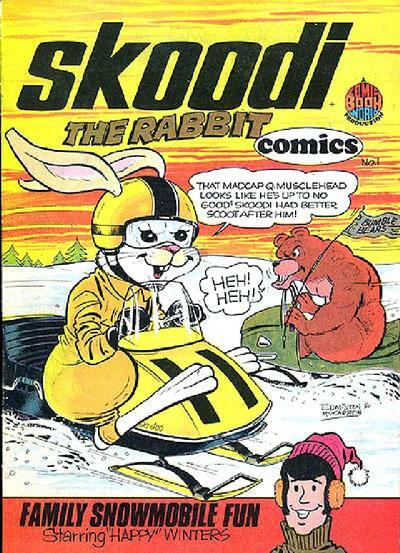 In 1972, Comic Book World published "Skoodi the Rabbit Comics," a promotional comic for Atlantic Skidoo LTD. 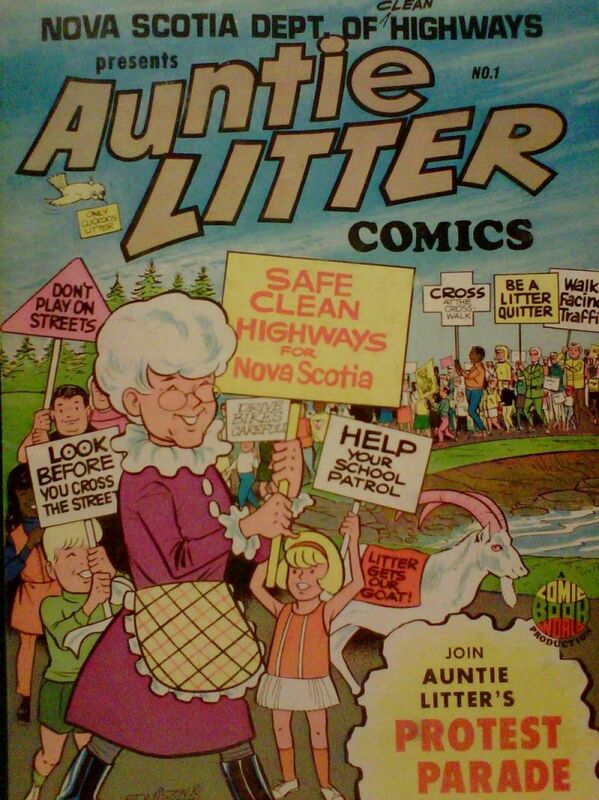 In 1969, Comic Book World published "Auntie Litter" in conjunction with the Nova Scotia Department of Highways. A second issue followed in 1970, but I have never seen a copy. My notes suggest that this one is from 1965, but my gut say it is from the early 1970s. 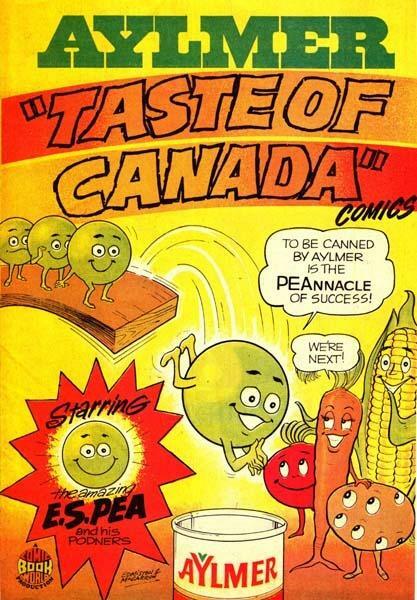 Here is "Aylmer 'Taste of Canada' Comics" from Aylmer Foods. 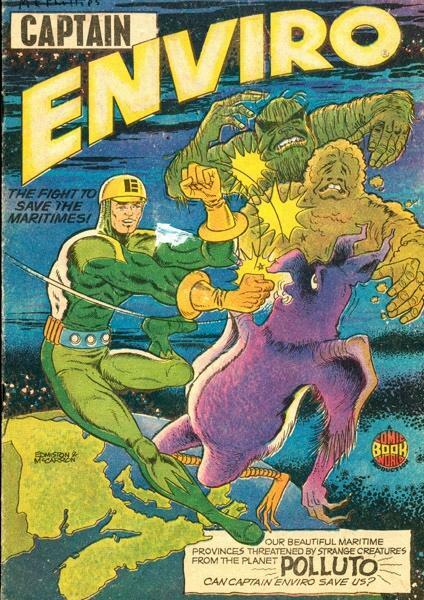 1972's "Captain Enviro" features New Brunswick's only superhero to date. This was actually the subject of an academic article called "Rise of the Eco-Comics" by Mark McLaughlin in 2013. 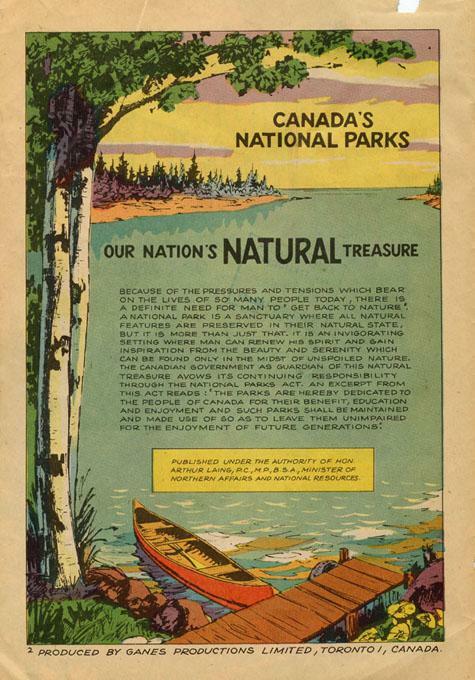 McLaughlin uses this as an example of how the Canadian government employed comics in order to promote certain agendas around environmentalism at the time. One of my favourite McCarron books. McCarron also worked for The Chronicle Herald newspaper in Halifax and published giveaways through the paper on occasion. He collaborated with political cartoonist Bob Chambers on a number of these (whereas his most frequent collaborator for the other comics on this list was Robin Edmiston). Here are several of these Chambers collaborations, as well as a Joseph Howe comic that was also given away from The Chronicle Herald. All of these are from my personal collection and have rarely been seen and I believe that there were a handful of others. Note that these are all very large, as they were folded with the newspaper. I think that this is the final self-published McCarron book. 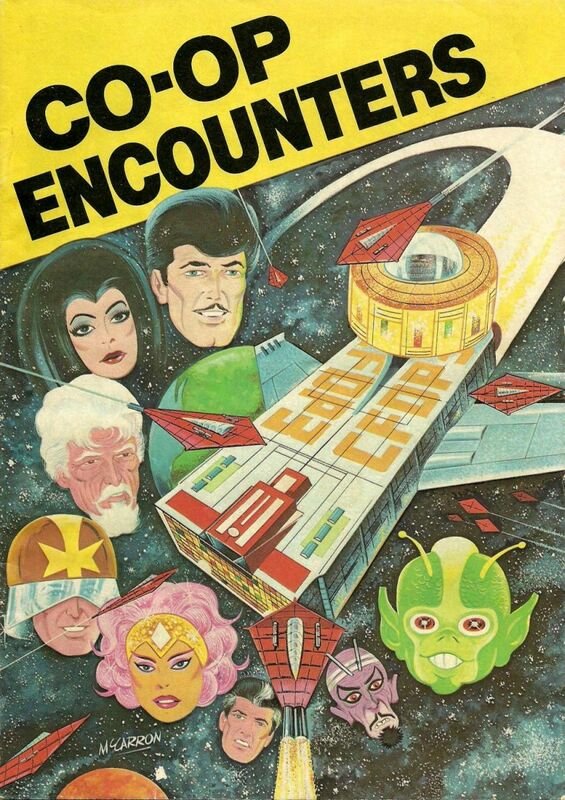 "Co-op Encounters" was a giveaway from the Atlantic Co-op in the early 1980s and features collaboration with Stefan Haley. It explains the cooperative movement as told by space aliens. 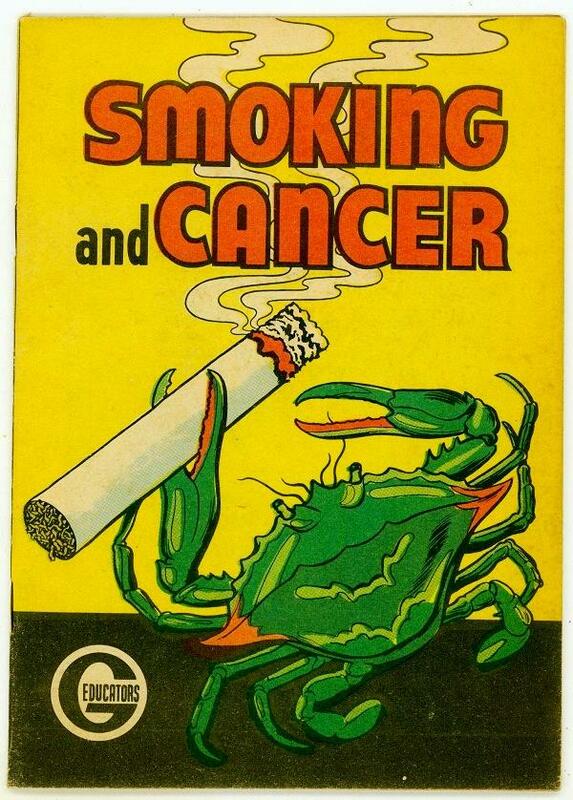 Very strange book. McCarron also published three issues of "L'il Easy Saver" between 1969-1970 for Atlantic Wholesalers LTD. I only have a cover scan of issue # 3 from an old Mile High listing. McCarron published several other comics during this era and I have a few in my collection that I will need to scan and post. There are at least a dozen that I have never seen and it is quite possible that there are more that I have not been able to document (same for Ganes). If you have scans of any Canadian giveaway comics from this era that I haven't posted, I'd love to see them. Now, cue the jokes about Canadiana and these silly looking books! 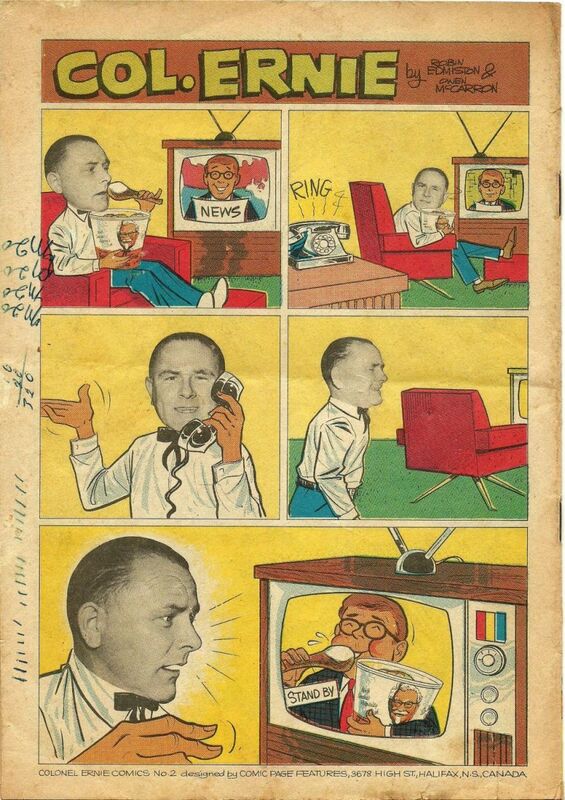 Here's an image of an early Ganes mini comic from 1963 called the "B/A Football Guide." A few of these have appeared on used book sites and Etsy lately (after I had spent months searching for an example). This mini explains the rules of the Canadian Football League (CFL) using the likeness of Bud Grant, who had recently coached the Winnipeg Blue Bombers to another Grey Cup (his fourth and final one as coach). 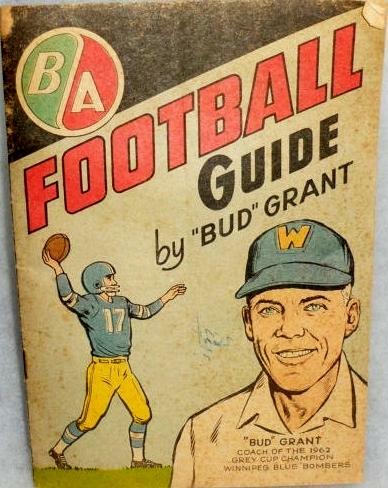 Grant would later coach the Minnesota Vikings to the 1969 NFL Championship (which, for football fans was the last NFL Championship prior to the AFL-NFL merger in 1970). Interestingly, this comic was published in conjunction with British American Oil. A sweet cross-over collectable and a piece of epic Canadiana! Binkly and Doinkel is where things start getting weird for McCarron. There is quite a bit of misinformation about this series floating around and even the GCD is messed up (I'll get around to fixing it when I have time). 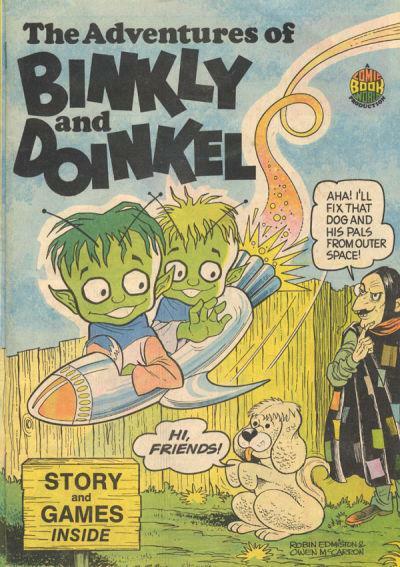 There is some reference to Owen McCarron and Robin Edmiston creating a Binkly and Doinkel comic in 1970 called "The Binkly and Doinkel Earth Show," but I have yet to come across an example and cannot verify its existence. The second issue of Binkly and Doinkel was released in 1978, this time from the Minister of Supply and Services Canada. 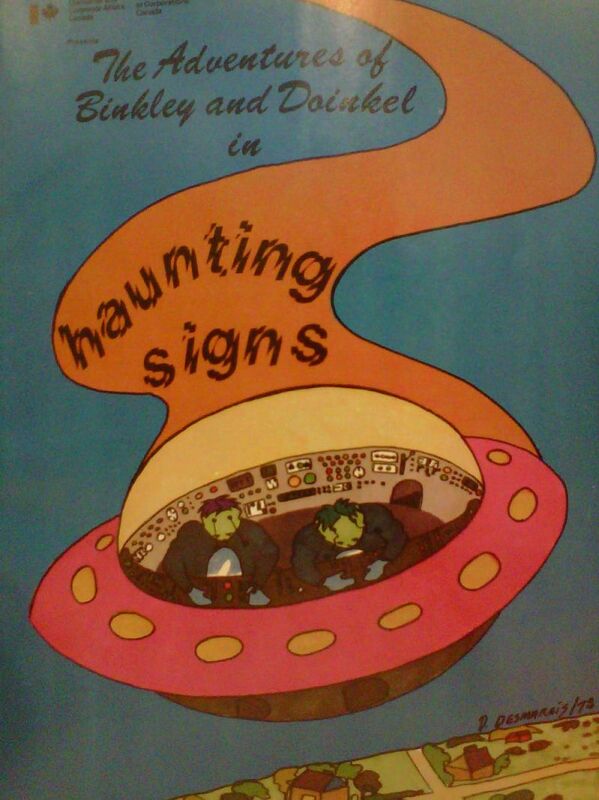 It was subtitled "Haunting Signs." McCarron and Edmiston did not create issue # 2. Instead, the government commissioned fine artist Diane Desmarais to do the work. The finished product makes the protagonists look a bit more creepy than McCarron and Edmiston's work, but the big mistake here is that issue 2 spells the name Binkly as "Binkley," which has created confusion ever since. 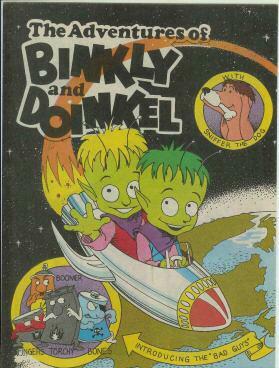 The final issue of Binkly and Doinkel was published in 1981. It appears to be by Comic Book World. If not ,it tries its hardest to emulate the work of McCarron and Edmiston. I have two copies of # 3 in my collection and they do not mention McCarron, Edmiston or Comic Book World. My gut says that this final issue was from McCarron and Edmiston, but there are definitely some design differences.